Participants must be at least 18 years of age and are required to supply their own boots and appropriate outdoor clothing. Each workshop is limited to 20 participants and registration will be open until spots are filled. Do you have a topic or location that you would like to see an upcoming workshop? Click HERE to submit your idea. We value your feedback. Click on the workshops below for more information and to register. 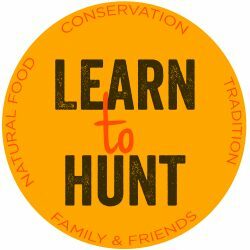 Do you have a topic or location you would like to see at an upcoming Learn to Hunt? Click here to submit you idea. Would you like to sign up for our Learn to Hunt monthly newsletter? Click here to see past newsletters and to signup for future newsletters.